Midwest Outdoor Resorts was dogged with a tired brand, dragging sales, and badly in need of an update. They came to us with a few ideas - to create a brand that communicated who they wanted to be in the future! With a few meetings and lots of creativity - Rowdy the Raccoon and the "campfire" brand of MOR was born! 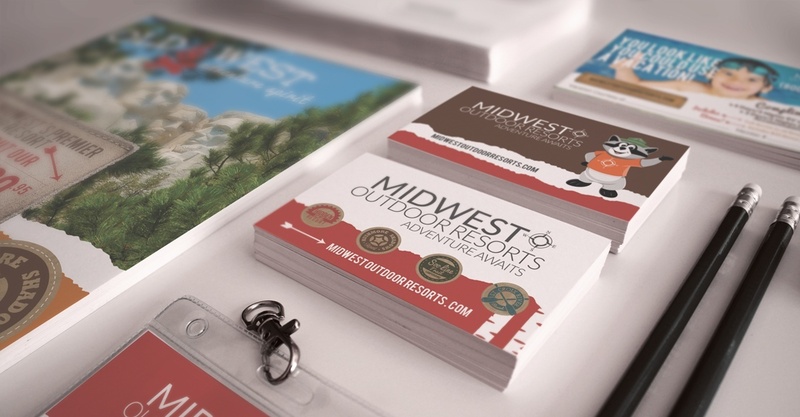 Because Midwest Outdoor Resorts operates four independently branded camping resorts and offers camping membership with condo and travel options, their brand needed to integrate midwest style camping as well as adventure, exploration, family fun, and a value offering.